As winter is slowly fading, my craving for fresh foods is getting more intensive as my body feels weak after so many days of extreme temperature changes (from outdoor to indoor), lack of outdoor exercise and mostly cooked food. Especially after the days with unusual temperatures for the season, I feel disoriented and at my most vulnerable point immunity-wise. Catching a flu or cold with season transitioning is most likely, because your immune system loses its strength. 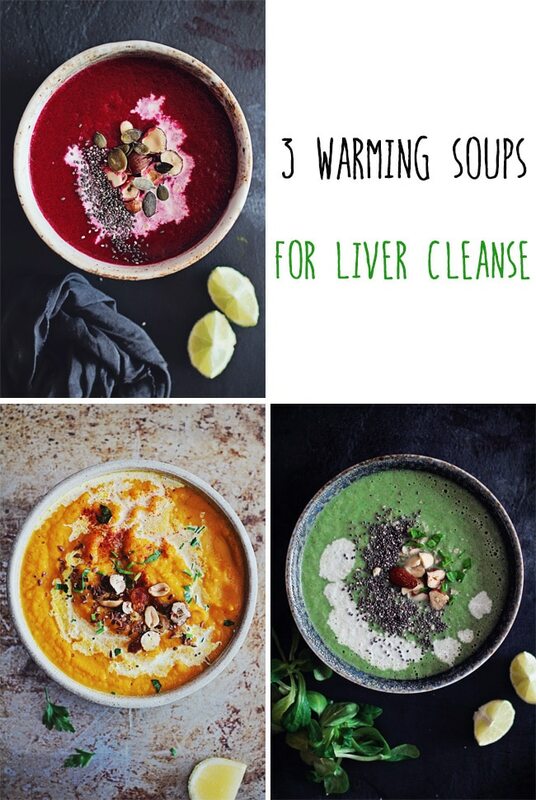 These are the moments when we should focus our diet on nurturing our bodies with foods that stimulate the liver function and help replenish the good bacteria in our gut. So, until fresh greens are again available at the farmers’ market, stick to the humble beets! 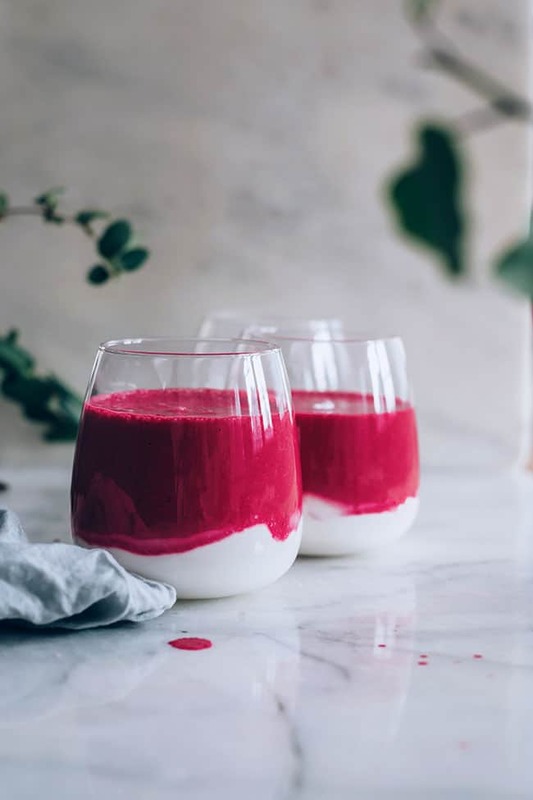 This smoothie is my favourite combination of wintery products such as red beet, lemon and grapefruit, with frozen berries, ginger and yogurt, to get a good dose of powerful antioxidants and probiotics, and boost the liver function. 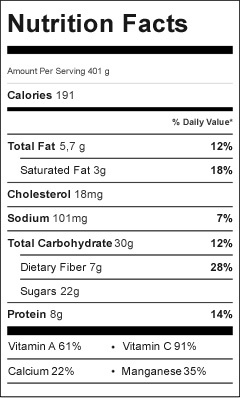 It’s my all-natural and much more nutrient-rich alternative than any fruit yogurt. Beets are such simple and cheap ingredient, but such a great staple for a healthier diet. While roasting and boiling considerably reduce their nutritional load, hiding them into your smoothies or favourite juices is a simple way of having them on a constant basis. Their unique active compounds called betalains act as powerful antioxidants and also have anti-inflammatory properties. Betalains are involved in the Phase 2 of detoxification, when the toxins are neutralised and made water-soluble and ready for the excretion. Paired with the presence of the mineral manganese and vitamin C in high concentrations, they create a strong antioxidant combo that supports the natural detoxification of our cells and overall optimal health. 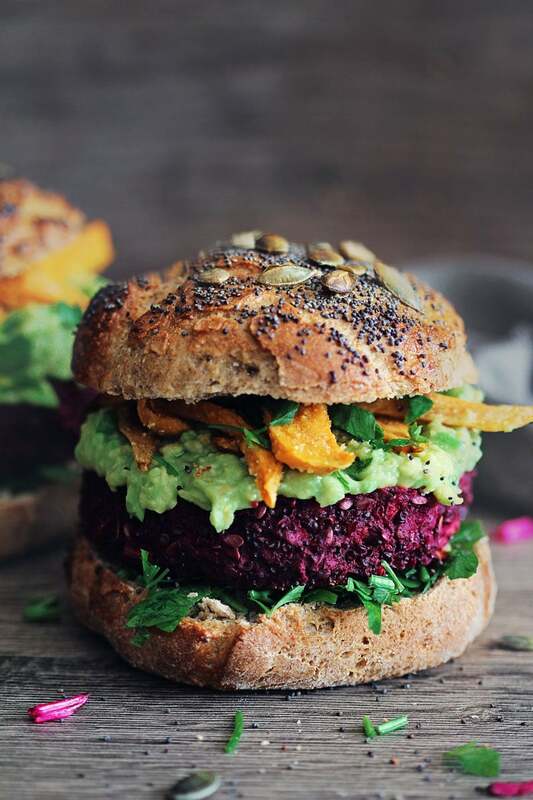 Moreover, the fiber in beet (as in carrots too) serves as food for the good bacteria in your colon, stimulating the immune response, balancing the mood (studies showed there’s a connection between your mind health and your microbiome activity) and maintaining the health of the colon wall cells. This is why raw beets make such a great addition your daily diet. The intense pink colour of this smoothie comes mostly from the beet betalains, but also from the frozen raspberries, which are also a great staple during winter. Their strong antioxidant support pairs perfectly with the anti-inflammatory one, especially during winter when inflammation tends to accumulate due to temperature stress and lack of exercise. You’ve noticed that I got a little obsession with ginger, and I tend to add it to everything, so I couldn’t resist using it this time too. The spicy, pungent flavour pairs perfectly with the grapefruit bitterness, hides the earthy taste of beet and it’s also tempered by the lemon sourness. This is a really interesting combination, and if you experiment beyond your normal sweet banana ones, you will love this beet smoothie! Looking for more ways to incorporate red beets into your healthy drinks? Here are some of my ideas: The PMS Relieving Beet Smoothie, My Beet and Ginger Elixir, or the Master Immunity Boosting Smoothie. 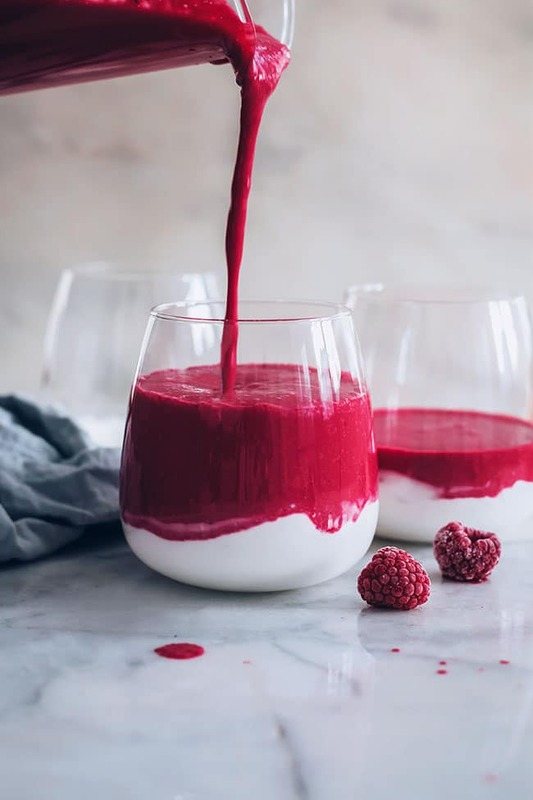 Loaded with antioxidants and probiotics, this beet smoothie is made with fresh veggies, delicious raspberries and natural yogurt to replenish the microbiome and support the liver function. 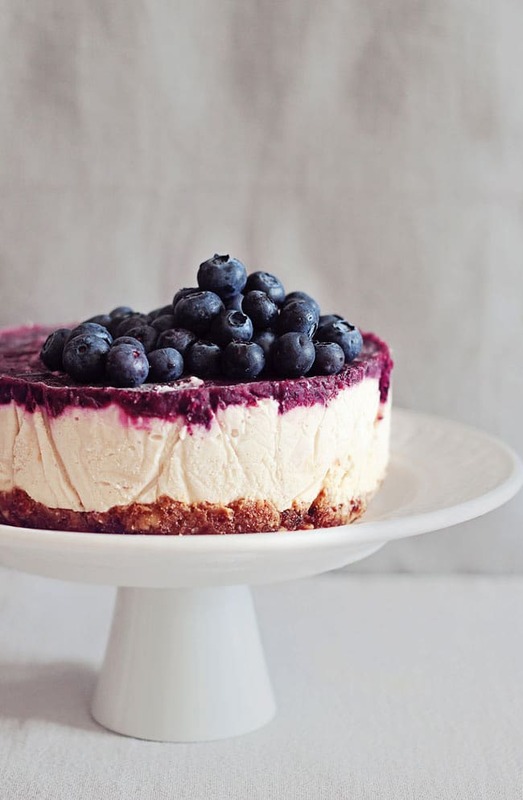 Add all the ingredients and half of the yogurt quantity into a blender. Divide the remaining yogurt into the serving glasses, then pour the smoothie to obtain beautifully looking layers. Mix with a spoon before serving. Tried this last week really enjoyed it. I’m not a big fan of beets so this time I added some frozen cherries in place of some raspberries. I’ve found dark cherries help tone down beet flavor. Was a very tasty and gorgeous drink. The color alone is worth making this.